In recent years, we have seen an enormous growth in the filed of smartphones. New mobile phones are released in each month to meet customer demands, especially the newly released Android flagship devices like Samsung Galaxy S7, LG V20, HTC One M10. However, with the prevalence of handsets, the requirement for data transfer is becoming more complex and more rigid. People always want to try something different , something new, then they took the plunge and decided to try a new smartphone. Android is the on top of our list when purchasing new phones. When you changed new phone, the first thing maybe confused you is that how to transfer important stuff including contacts, messages and other data from Windows phone to Android phone. There is a thing worth noting that you can't directly move data from Windows phone to iPhone or vice versa because of the entirely different operating systems they run. Windows Phone is a closed-sourced, while Android is an open source software. It means WinPhone and Android system is different in the file system types, command line interface, underlying APIs. This would lead to the data incompatibility between Android and Windows phone. This is where the new program from Androidphonesoft Studio makes things smoother than you can imagine. 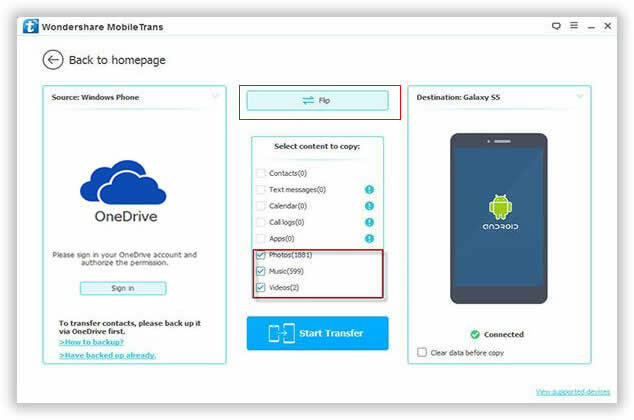 This new software - Mobile Transfer, gives you the option to directly tranfer contacts, messages and other data from Windows phone to Android phone with one click, it can be sure no data is lost and the performance is optimal and end up with the same data in the destination phone. It also support transferring contacts from Windows Phone to iPhone or from Nokia to Android. 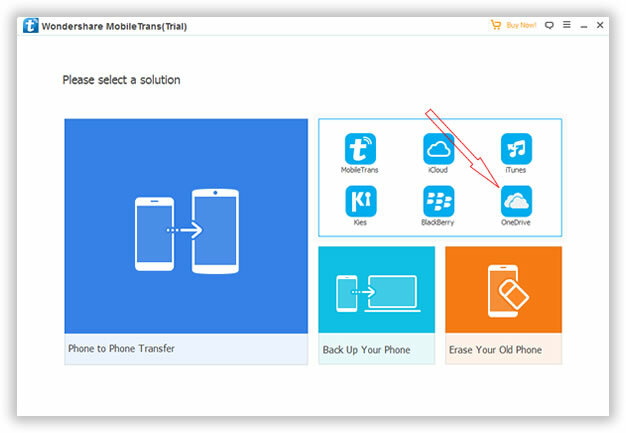 Supported Data Transfer: Contacts, Messages, Call History, Photos, Vidoes and more. Suppoted Phone: Windows phone 7,8,10, Nokia Lumia, Samsung Galxay, HTC, LG, Sony and more. 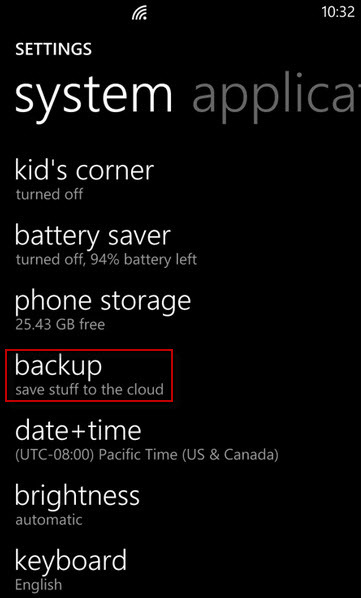 First of all, you need to back up your Windows phone contacts or other data to OneDrive account. If you didn't have OneDrive account, you need to create one. 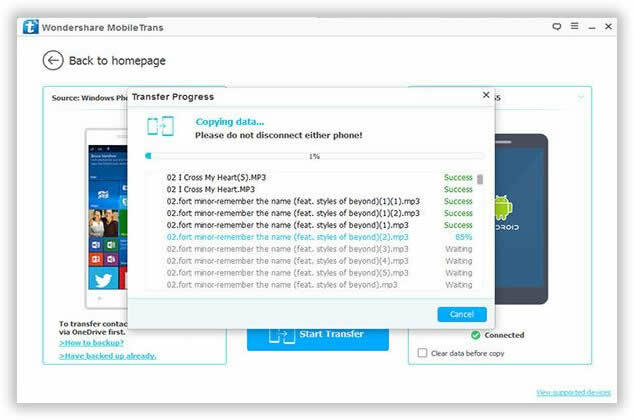 When the backup is complete, you need to use Mobile Transfer program to restore the previous backup files to your Android device. After installation, run it, you will see there are four core functions in the main window, here, you should select "Restore from Backups" option and next. When you click the 'Restore form Backups', it will display six restore solutions. Here you should select the OneDrive solution from the list. You will be required to log in your OneDrive account to provide authorization to the program. Ths program will deeply scan your previous created backup file after you login OneDrive and dispaly all data in a well-organized directory. If you only transfer photos, songs and file between Windows phone and Android, no need to login OneDrive. It enables you to direclty move media file. 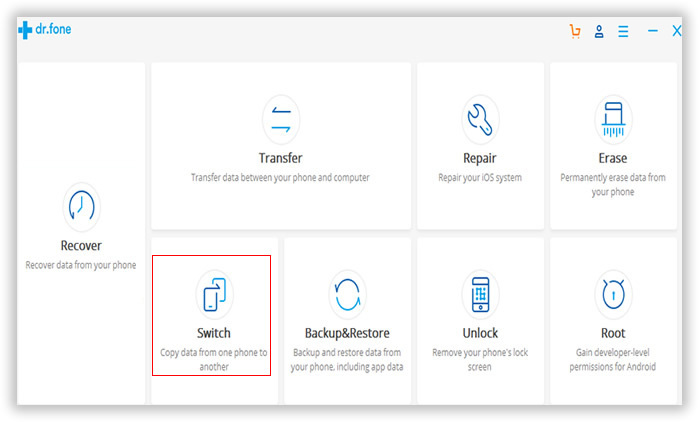 Now what you need to do is just check the box beside the file type and select the contacts or other data you want to transfer to your new Android phone. Then click the 'Start Copy' button to start the transferring process, it will take some time based on the size of your data. Please don't disconnect your phone during the process. Now, all of your contacts or messages you take will be saved to your Android phone. I frequently get asked if there is a way to batch move lots of contacts or other data from Windows phone to another phone, and this post answers that question. Due to Windows phone is a closed system, it doesn't provide inbuilt mechanism that you can use, but this Phone Transfer program gets the job well done. It's not only easy to use it is also 100% safe, you do not have to worry about your data getting lost or deleted during the transfer. It is not an online process; therefore there is absolutely no risk of your personal information getting hacked. Just give it a try, you won't be disappointed!